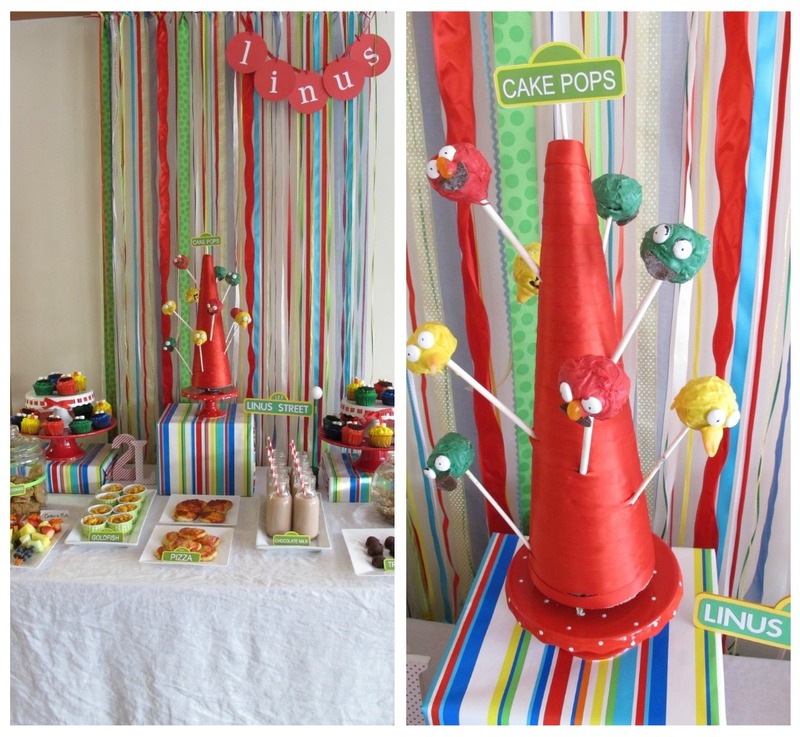 This simple lollypop stand can work great for cake pops, lollypops, rock candy, and more! You can find the full tutorial here. If you plan on using this for more than one occasion, choose a ribbon color that could work for both. We found that red and white were good colors that could be used over and over again.Here is the one we made for a Sesame Street inspired party.